The 2019 Mercedes-Benz E-Class is a visionary. Within its timelessly modern body you'll discover the agility of an athlete and the passion of an artist. Hexagonal, chrome-tipped pins radiate from the Star in its grille, while LED taillamps wrap around its rear shoulders. Stylish wheels come in a selection of 18in and 19in designs. With LED lighting, the E-Class is equipped to help you see and be seen. Optional active headlamps adapt to curves and traffic ahead. There’s individual seating for four adults, plus the rear cabin has adult-size room. Every detail feels special, from the intriguing, illuminated air vents to exquisite options in exotic wood trim. With frameless side windows and a giant standard Panorama roof, the E-Class offers more than a mere view. A more powerful 362hp biturbo V6 can whisk you from 0 to 60mph in 5.0 seconds. Its direct injection and multispark ignition can self-tunes every few milliseconds, on the fly, to optimize performance and efficiency. The throttle, shifting, chassis and more sharpen in Sport mode, ease up in ECO and there's even a mode you can set up as you like. With nine speeds and multiple modes, the advanced 9G-TRONIC automatic transmission is more flexible in range, more decisive in response. On slippery roads, 4MATIC® adds all-wheel driving confidence. In dry corners, it adds fun. The E-Class offers a range of convenient features including 12.3in screen, navigation, digital instrument cluster, Apple CarPlay and Android Auto compatibility and bult-in Wi-Fi. You’ll also find a comprehensive suite of safety features such as car-to-x technology and pre-safe sound.We have been Central New Jersey's Exclusive Mercedes-Benz dealer for over three decades.....Come in and let us Far Exceed All Your Expectations. Mercedes-Benz of Princeton is where Value, Selection, and Service is Your Advantage!Our inventory changes daily. If you do not see the exact Mercedes-Benz you are looking for, we can get if from our vast network of dealers. If you do see your car here, please call to confirm its availability & come in for a test drive.The 2019 Mercedes-Benz E-Class is a visionary. Within its timelessly modern body you'll discover the agility of an athlete and the passion of an artist. Hexagonal, chrome-tipped pins radiate from the Star in its grille, while LED taillamps wrap around its rear shoulders. Stylish wheels come in a selection of 18in and 19in designs. With LED lighting, the E-Class is equipped to help you see and be seen. Optional active headlamps adapt to curves and traffic ahead. There’s individual seating for four adults, plus the rear cabin has adult-size room. Every detail feels special, from the intriguing, illuminated air vents to exquisite options in exotic wood trim. With frameless side windows and a giant standard Panorama roof, the E-Class offers more than a mere view. A more powerful 362hp biturbo V6 can whisk you from 0 to 60mph in 5.0 seconds. Its direct injection and multispark ignition can self-tunes every few milliseconds, on the fly, to optimize performance and efficiency. The throttle, shifting, chassis and more sharpen in Sport mode, ease up in ECO and there's even a mode you can set up as you like. With nine speeds and multiple modes, the advanced 9G-TRONIC automatic transmission is more flexible in range, more decisive in response. On slippery roads, 4MATIC® adds all-wheel driving confidence. In dry corners, it adds fun. The E-Class offers a range of convenient features including 12.3in screen, navigation, digital instrument cluster, Apple CarPlay and Android Auto compatibility and bult-in Wi-Fi. You’ll also find a comprehensive suite of safety features such as car-to-x technology and pre-safe sound.We have been Central New Jersey's Exclusive Mercedes-Benz dealer for over three decades.....Come in and let us Far Exceed All Your Expectations. Mercedes-Benz of Princeton is where Value, Selection, and Service is Your Advantage!Our inventory changes daily. If you do not see the exact Mercedes-Benz you are looking for, we can get if from our vast network of dealers. If you do see your car here, please call to confirm its availability & come in for a test drive. The 2019 Mercedes-Benz GLA is agile, adventurous and adaptable. Taut, trim and muscular, the GLA is big on style from its iconic grille to its LED taillamps. Big 18in or 19in wheels and black fender flares lend a confident stance, while chrome and aluminum add elegant accents to the bumpers and roof. With available hands-free access, just a kick under the bumper can open the standard power liftgate. It's a grand opening to a generous 43.6 cu ft of cargo room with the rear seats folded, or a generous trunk with all five seats in use. Under the hood, you’ll find turbo power and two liters of pure energy. With 208 turbocharged horsepower, the GLA quenches your thirst for performance with a minimal appetite for fuel. Advanced direct injection and multispark ignition self-tune on the fly, to keep your enthusiasm at full boost. The 7G-DCT transmission offers the smooth refinement of an automatic with sporty reflexes. Its dual-clutch design shifts faster than a human can, while its shift paddles let you take charge of its seven speeds anytime. Available variable-torque 4MATIC® all-wheel drive can sense the very onset of wheel slip, and instantly reapportion up to half of the engine's power to the rear wheels on demand, plus off-road mode makes the GLA even more capable. Dynamic select dials in the GLA's performance character with the tap of a console button. Throttle, shifting and more sharpen in Sport mode, ease up in ECO, keep calm in Comfort and there's even a mode you can set up yourself. The GLA offers a range of convenient features including an 8in color display, Bluetooth® integration, Apple CarPlay and Android Auto compatibility, remote start, remote lock/unlock and built-in Wi-Fi.We have been Central New Jersey's Exclusive Mercedes-Benz dealer for over three decades.....Come in and let us Far Exceed All Your Expectations. Mercedes-Benz of Princeton is where Value, Selection, and Service is Your Advantage!Our inventory changes daily. If you do not see the exact Mercedes-Benz you are looking for, we can get if from our vast network of dealers. If you do see your car here, please call to confirm its availability & come in for a test drive.The 2019 Mercedes-Benz GLA is agile, adventurous and adaptable. Taut, trim and muscular, the GLA is big on style from its iconic grille to its LED taillamps. Big 18in or 19in wheels and black fender flares lend a confident stance, while chrome and aluminum add elegant accents to the bumpers and roof. With available hands-free access, just a kick under the bumper can open the standard power liftgate. It's a grand opening to a generous 43.6 cu ft of cargo room with the rear seats folded, or a generous trunk with all five seats in use. Under the hood, you’ll find turbo power and two liters of pure energy. With 208 turbocharged horsepower, the GLA quenches your thirst for performance with a minimal appetite for fuel. Advanced direct injection and multispark ignition self-tune on the fly, to keep your enthusiasm at full boost. The 7G-DCT transmission offers the smooth refinement of an automatic with sporty reflexes. Its dual-clutch design shifts faster than a human can, while its shift paddles let you take charge of its seven speeds anytime. Available variable-torque 4MATIC® all-wheel drive can sense the very onset of wheel slip, and instantly reapportion up to half of the engine's power to the rear wheels on demand, plus off-road mode makes the GLA even more capable. Dynamic select dials in the GLA's performance character with the tap of a console button. Throttle, shifting and more sharpen in Sport mode, ease up in ECO, keep calm in Comfort and there's even a mode you can set up yourself. The GLA offers a range of convenient features including an 8in color display, Bluetooth® integration, Apple CarPlay and Android Auto compatibility, remote start, remote lock/unlock and built-in Wi-Fi.We have been Central New Jersey's Exclusive Mercedes-Benz dealer for over three decades.....Come in and let us Far Exceed All Your Expectations. Mercedes-Benz of Princeton is where Value, Selection, and Service is Your Advantage!Our inventory changes daily. If you do not see the exact Mercedes-Benz you are looking for, we can get if from our vast network of dealers. If you do see your car here, please call to confirm its availability & come in for a test drive. The 2019 Mercedes-Benz GLC reasserts the sport in SUV.. A long wheelbase, big wheels and wide track add up to space, stability and sportiness. Crisp proportions and chrome details reflect its ideal balance of athleticism and elegance. Venture through wide rear doors to the 40/20/40-split rear seats and load more with the standard power liftgate. There's something for everyone to enjoy in the GLC, from handcrafted Nappa leather to heated front and rear seats, multicolor ambient lighting, new 3-zone climate control, and a giant Panorama roof. The turbocharged GLC 300 and GLC 300 4MATIC® are both energetic and energy-conscious. They embrace® the road and your passion for driving with composed comfort and a feeling of confident control. With 241hp and nine speeds, this turbocharged SUV can rush to 60 in just 6.3 seconds. The advanced direct injection and multispark ignition can self-tune in milliseconds to optimize performance and efficiency. 4MATIC® all-wheel drive continually sends the engine's torque to the wheels that can put it to the best use.. The 9G-TRONIC automatic is smooth, sporty and smart, while dynamic select lets you dial in the GLC's driving character, from enthusiastic Sport mode to easygoing ECO and there's even a mode you can set up as you like. The GLC offers a range of convenient features for staying connected on the road, including Bluetooth® integration, navigation, Apple CarPlay and Android Auto compatibility, intuitive touchscreen controls, remote start, remote lock/unlock and built-in Wi-Fi. You’ll also find a comprehensive suite of safety features such advanced driving assists and radar.We have been Central New Jersey's Exclusive Mercedes-Benz dealer for over three decades.....Come in and let us Far Exceed All Your Expectations. Mercedes-Benz of Princeton is where Value, Selection, and Service is Your Advantage!Our inventory changes daily. If you do not see the exact Mercedes-Benz you are looking for, we can get if from our vast network of dealers. If you do see your car here, please call to confirm its availability & come in for a test drive.The 2019 Mercedes-Benz GLC reasserts the sport in SUV.. A long wheelbase, big wheels and wide track add up to space, stability and sportiness. Crisp proportions and chrome details reflect its ideal balance of athleticism and elegance. Venture through wide rear doors to the 40/20/40-split rear seats and load more with the standard power liftgate. There's something for everyone to enjoy in the GLC, from handcrafted Nappa leather to heated front and rear seats, multicolor ambient lighting, new 3-zone climate control, and a giant Panorama roof. The turbocharged GLC 300 and GLC 300 4MATIC® are both energetic and energy-conscious. They embrace® the road and your passion for driving with composed comfort and a feeling of confident control. With 241hp and nine speeds, this turbocharged SUV can rush to 60 in just 6.3 seconds. The advanced direct injection and multispark ignition can self-tune in milliseconds to optimize performance and efficiency. 4MATIC® all-wheel drive continually sends the engine's torque to the wheels that can put it to the best use.. The 9G-TRONIC automatic is smooth, sporty and smart, while dynamic select lets you dial in the GLC's driving character, from enthusiastic Sport mode to easygoing ECO and there's even a mode you can set up as you like. The GLC offers a range of convenient features for staying connected on the road, including Bluetooth® integration, navigation, Apple CarPlay and Android Auto compatibility, intuitive touchscreen controls, remote start, remote lock/unlock and built-in Wi-Fi. You’ll also find a comprehensive suite of safety features such advanced driving assists and radar.We have been Central New Jersey's Exclusive Mercedes-Benz dealer for over three decades.....Come in and let us Far Exceed All Your Expectations. Mercedes-Benz of Princeton is where Value, Selection, and Service is Your Advantage!Our inventory changes daily. If you do not see the exact Mercedes-Benz you are looking for, we can get if from our vast network of dealers. If you do see your car here, please call to confirm its availability & come in for a test drive. The 2019 Mercedes-Benz SL will be admired forever. Flowing LED headlamps sweep back from a shapely grille. Sculpted lower body styling wraps around 19in or 20in wheels. And with its retractable hardtop, it's perfectly proportioned as a sleek coupe and as a classic open roadster. Technologically forward yet rooted in tradition, its open-air passion is met with unmatched civility, from its season-extending AIRSCARF® system to innovative sun-reflecting leather that's still carefully fitted to each seat by hand. The standard Panorama roof features a see-through panel and sliding sunshade, and for even more viewing options at the touch of a button, magic sky control lets you darken the overhead glass electronically. Much as the SL body generates more strength from lighter mass, its biturbo engines rouse more power and torque from less fuel. Both the 362hp V6 in the SL 450 and the 449hp SL 550 V8 employ ultra-precise tech like piezoelectric direct injection and multispark ignition. Both self-tune with millisecond speed to quicken your 0-60 rush. There’s also a handcrafted biturbo engine: a 577hp V8 with 664 lb.-ft. of peak torque. Lighter, quicker and more efficient, the 9G-TRONIC automatic puts a wider range of ratios with shorter steps between them. The SL offers a range of convenient features for staying connected on the road, including premium sound system, Apple CarPlay and Android Auto compatibility, smartphone integration and built-in Wi-Fi. You’ll also find a suite of safety features such as pop-up roll bar, intelligent drive, network of cameras, radar and sensors and active distance assist.We have been Central New Jersey's Exclusive Mercedes-Benz dealer for over three decades.....Come in and let us Far Exceed All Your Expectations. 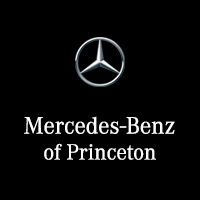 Mercedes-Benz of Princeton is where Value, Selection, and Service is Your Advantage!Our inventory changes daily. If you do not see the exact Mercedes-Benz you are looking for, we can get if from our vast network of dealers. If you do see your car here, please call to confirm its availability & come in for a test drive.The 2019 Mercedes-Benz SL will be admired forever. Flowing LED headlamps sweep back from a shapely grille. Sculpted lower body styling wraps around 19in or 20in wheels. And with its retractable hardtop, it's perfectly proportioned as a sleek coupe and as a classic open roadster. Technologically forward yet rooted in tradition, its open-air passion is met with unmatched civility, from its season-extending AIRSCARF® system to innovative sun-reflecting leather that's still carefully fitted to each seat by hand. The standard Panorama roof features a see-through panel and sliding sunshade, and for even more viewing options at the touch of a button, magic sky control lets you darken the overhead glass electronically. Much as the SL body generates more strength from lighter mass, its biturbo engines rouse more power and torque from less fuel. Both the 362hp V6 in the SL 450 and the 449hp SL 550 V8 employ ultra-precise tech like piezoelectric direct injection and multispark ignition. Both self-tune with millisecond speed to quicken your 0-60 rush. There’s also a handcrafted biturbo engine: a 577hp V8 with 664 lb.-ft. of peak torque. Lighter, quicker and more efficient, the 9G-TRONIC automatic puts a wider range of ratios with shorter steps between them. The SL offers a range of convenient features for staying connected on the road, including premium sound system, Apple CarPlay and Android Auto compatibility, smartphone integration and built-in Wi-Fi. You’ll also find a suite of safety features such as pop-up roll bar, intelligent drive, network of cameras, radar and sensors and active distance assist.We have been Central New Jersey's Exclusive Mercedes-Benz dealer for over three decades.....Come in and let us Far Exceed All Your Expectations. Mercedes-Benz of Princeton is where Value, Selection, and Service is Your Advantage!Our inventory changes daily. If you do not see the exact Mercedes-Benz you are looking for, we can get if from our vast network of dealers. If you do see your car here, please call to confirm its availability & come in for a test drive. The 2019 Mercedes-Benz C-Class brings new dimensions of enjoyment. Its new lower body styling, wheel choices and all-LED lighting highlight its athletically elegant shape. Standard new multi-element LED headlamps offer brighter, more natural illumination by night, eye-catching design by day. The available LED Intelligent Light System has a look all its own and adapts for curves and vehicles ahead. These sedans come standard with sporty 17in alloy wheels, plus seven additional options in 18in and 19in. With more horses, nine speeds and the year-round grip of available 4MATIC® all-wheel drive, the C-Class has the agility, strength and confidence to match the beauty of its well-toned body. A twin-scroll turbo, Direct Injection and CAMTRONIC valve adjustment team up for 255hp. Unleashing all 273 lb.-ft. of torque from just 1,800 rpm. Quick, smooth and smart, the 9G-TRONIC transmission helps keep the turbo engine's power on point. Shift paddles let you take charge of its nine speeds, while three overdrive ratios offer relaxed highway cruising. Dynamic select dials in the car's performance character with the tap of a console button. Five modes vary shift points, throttle response, steering feel and more, from easygoing ECO to sharp Sport+, or you can create your own individual mode. The C-Class offers a range of convenient features for staying connected on the road, including a 12.3-inch digital instrument cluster, a 10.25in center screen, LED ambient lighting, Apple CarPlay and Android Auto compatibility, navigation, voice command, wireless charging, remote start, remote lock/unlock and built-in Wi-Fi.We have been Central New Jersey's Exclusive Mercedes-Benz dealer for over three decades.....Come in and let us Far Exceed All Your Expectations. Mercedes-Benz of Princeton is where Value, Selection, and Service is Your Advantage!Our inventory changes daily. If you do not see the exact Mercedes-Benz you are looking for, we can get if from our vast network of dealers. If you do see your car here, please call to confirm its availability & come in for a test drive.The 2019 Mercedes-Benz C-Class brings new dimensions of enjoyment. Its new lower body styling, wheel choices and all-LED lighting highlight its athletically elegant shape. Standard new multi-element LED headlamps offer brighter, more natural illumination by night, eye-catching design by day. The available LED Intelligent Light System has a look all its own and adapts for curves and vehicles ahead. These sedans come standard with sporty 17in alloy wheels, plus seven additional options in 18in and 19in. With more horses, nine speeds and the year-round grip of available 4MATIC® all-wheel drive, the C-Class has the agility, strength and confidence to match the beauty of its well-toned body. A twin-scroll turbo, Direct Injection and CAMTRONIC valve adjustment team up for 255hp. Unleashing all 273 lb.-ft. of torque from just 1,800 rpm. Quick, smooth and smart, the 9G-TRONIC transmission helps keep the turbo engine's power on point. Shift paddles let you take charge of its nine speeds, while three overdrive ratios offer relaxed highway cruising. Dynamic select dials in the car's performance character with the tap of a console button. Five modes vary shift points, throttle response, steering feel and more, from easygoing ECO to sharp Sport+, or you can create your own individual mode. The C-Class offers a range of convenient features for staying connected on the road, including a 12.3-inch digital instrument cluster, a 10.25in center screen, LED ambient lighting, Apple CarPlay and Android Auto compatibility, navigation, voice command, wireless charging, remote start, remote lock/unlock and built-in Wi-Fi.We have been Central New Jersey's Exclusive Mercedes-Benz dealer for over three decades.....Come in and let us Far Exceed All Your Expectations. Mercedes-Benz of Princeton is where Value, Selection, and Service is Your Advantage!Our inventory changes daily. If you do not see the exact Mercedes-Benz you are looking for, we can get if from our vast network of dealers. If you do see your car here, please call to confirm its availability & come in for a test drive. The 2019 Mercedes-Benz CLA is designed to capture admiring eyes. Its profile is sleek like a coupe, yet it offers room for five and the innovation that defines a Mercedes-Benz. From its diamond-block grille to its LED taillamps, there may be no car on the road offering such eye-catching style. From its wing-like dash, big yet sleek 8in screen and high-back power front sport seats, the CLA cabin sets you apart from the crowd. A 208hp turbo inline-4 turns less fuel into more torque with advanced direct injection and rapid-multispark ignition. You also have the choice of the AMG® CLA 45's handcrafted engine pours out 375hp and 26.1 psi of maximum turbo boost, the most of any 4-cylinder engine in production. ECO Start/Stop automatically pauses the engine at red lights to save fuel, while dynamic select lets you dial in a mode to fit your driving mood. The 7-speed DCT transmission gives you fuel-friendly and fun like a manual, with the relaxing comfort of an automatic. The racing-derived dual-clutch design makes every shift lightning-quick yet liquid-smooth. Quick to respond and remarkably efficient, variable-torque 4MATIC® all-wheel drive can take this car to higher levels of agility and all-season confidence. The CLA offers a range of convenient features including an 8in color screen, Bluetooth® integration, navigation, premium sound system, Apple CarPlay and Android Auto compatibility, remote start, remote lock/unlock and built-in Wi-Fi. You’ll also find a comprehensive suite of safety features such as active brake assist, attention assist, blind spot assist, lane keeping assist, distance assist, and active cruise control.We have been Central New Jersey's Exclusive Mercedes-Benz dealer for over three decades.....Come in and let us Far Exceed All Your Expectations. Mercedes-Benz of Princeton is where Value, Selection, and Service is Your Advantage!Our inventory changes daily. If you do not see the exact Mercedes-Benz you are looking for, we can get if from our vast network of dealers. If you do see your car here, please call to confirm its availability & come in for a test drive.The 2019 Mercedes-Benz CLA is designed to capture admiring eyes. Its profile is sleek like a coupe, yet it offers room for five and the innovation that defines a Mercedes-Benz. From its diamond-block grille to its LED taillamps, there may be no car on the road offering such eye-catching style. From its wing-like dash, big yet sleek 8in screen and high-back power front sport seats, the CLA cabin sets you apart from the crowd. A 208hp turbo inline-4 turns less fuel into more torque with advanced direct injection and rapid-multispark ignition. You also have the choice of the AMG® CLA 45's handcrafted engine pours out 375hp and 26.1 psi of maximum turbo boost, the most of any 4-cylinder engine in production. ECO Start/Stop automatically pauses the engine at red lights to save fuel, while dynamic select lets you dial in a mode to fit your driving mood. The 7-speed DCT transmission gives you fuel-friendly and fun like a manual, with the relaxing comfort of an automatic. The racing-derived dual-clutch design makes every shift lightning-quick yet liquid-smooth. Quick to respond and remarkably efficient, variable-torque 4MATIC® all-wheel drive can take this car to higher levels of agility and all-season confidence. The CLA offers a range of convenient features including an 8in color screen, Bluetooth® integration, navigation, premium sound system, Apple CarPlay and Android Auto compatibility, remote start, remote lock/unlock and built-in Wi-Fi. You’ll also find a comprehensive suite of safety features such as active brake assist, attention assist, blind spot assist, lane keeping assist, distance assist, and active cruise control.We have been Central New Jersey's Exclusive Mercedes-Benz dealer for over three decades.....Come in and let us Far Exceed All Your Expectations. Mercedes-Benz of Princeton is where Value, Selection, and Service is Your Advantage!Our inventory changes daily. If you do not see the exact Mercedes-Benz you are looking for, we can get if from our vast network of dealers. If you do see your car here, please call to confirm its availability & come in for a test drive. When you’re shopping for a new vehicle, you’ll find everything you’re after here at our Princeton Mercedes-Benz dealership serving Hamilton and Yardley, PA. Our sprawling selection has the options that discerning shoppers are eager to find when choosing a luxury vehicle. Our inventory of refined vehicles includes luxury sedans, coupes, convertibles, and SUVs, as well as hybrid and electric vehicles. No matter what type of vehicle you’re shopping for, one thing remains constant: Mercedes-Benz always delivers on unparalleled refinement. Even our cargo and passenger vans embody that same class and style! As you explore the latest vehicles in our showroom, our staff is here to help you find the perfect match for your unique lifestyle. Whatever qualities are most important to you, our experts can guide you toward the vehicle that’s right for you. Of course, we can also bring the latest Mercedes-Benz offers at our Princeton dealership to your attention. We’re always here to help shoppers from Hamilton, Yardley PA, and beyond find the best options for their purchase. To learn more about our current inventory of Mercedes-Benz vehicles, or to schedule a test drive with our expert team, don’t hesitate to contact us directly by calling (609) 910-5826 today.